The Pilates method is named after its inventor, Joseph H. Pilates (1883-1967). Joe was born a sickly child with asthma, rickets and rheumatic fever. From a very young age he realized the importance of health and fitness that ultimately sent him on a life-long journey, developing what he called Contrology, and we now know of as the Pilates Method. Joe was a boxer, gymnast, and skilled diver. He practiced martial arts and studied both eastern and western philosophies, including yoga. The Pilates method includes more than 500 controlled, precise movements, designed to stretch and strengthen muscles without adding bulk. Joseph H. Pilates was nearly a century ahead of his time in understanding that the key to life was a healthy, flexible spine. Pilates focuses on the core postural muscles that help keep the body strong and balanced, while working to align the spine and improve posture. Pilates teaches a strong awareness of breath and a profound mind/body connection. “Uncle Joe” was very much an inventor. Not only did he develop the exercises that make up the Pilates method, but he also invented the unique apparatuses to perform them on. His equipment utilizes springs for resistance. Joe began by rigging springs to hospital beds, enabling the bedridden to exercise. These machines include the Universal Reformer, Wunda Chair, High (Electric) Chair, Trap Table or Cadillac, Ladder Barrel, Spine Corrector, Ped-O-Pul, Foot Corrector, and Magic Circle. Joe created many more gadgets as well, with each designed to help strengthen the mind and body all the way to your toes! Joann Cuccurullo is the owner and founder of Classic Pilates. In 2006, after 15 years in Real Estate management and sales, Joann decided to focus on her true passion – wellness through Pilates. Her extensive background in the corporate world has helped her excel as a self-employed fitness instructor. Her bachelor’s degree in Education makes her the perfect teacher and her passion makes her a great motivator. In 2007 Joann became a mat certified Power Pilates instructor and in 2009, after completing a rigorous 600 hour program, she became a comprehensively certified Power Pilates instructor. Prior to co-founding Classic Pilates, Joann worked as Pilates director for Cityplace Fitness Club in Uptown. In addition to running the club’s Pilates program, she also acted as its group exercise fitness coordinator. Joann is the former Pilates instructor for the Dallas Regional Chamber of Commerce and consults with film productions on the Pilates method. Joann’s goal is to help her clients build a stronger, better body so they can enjoy life more fully. She brings her passion to each client through a boutique approach to classical Pilates, by focusing on their individual goals and needs. 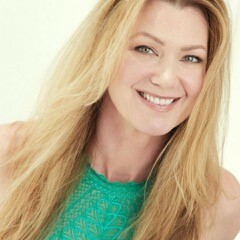 Kathryn Hamilton Kathy Hamilton is a Power Pilates® Comprehensive, and Pilates Method Alliance® Certified Instructor. She has completed her Gyrotonic® Pretraining and Gyrotonic® Foundation. When she is not at the studio she keeps busy with her 7-year-old daughter and is a cast member of the Healthy Housewives, a group of health and fitness professionals who believe in supporting and empowering other women through fitness, diet and nutrition. She is a regular writer for Natural Muscle Magazine on health, fitness and exercise topics and a guest blogger on topics pertaining to Pilates and fitness. Alicia is dedicated to making her clients feel amazing, from the inside out. Her enthusiasm for fitness began while growing up in a Bordertown and excelling as an athlete in softball, volleyball and Taekwondo. It wasn’t until college that she discovered Pilates via a stack of Mari Winsor DVDs. She fell in love with the art, when she began noticing the changes in her body, stamina and flexibility. She was hooked instantly. She has been practicing Pilates for over 15 years. In 2013, she was certified in Power Pilates Mat I and II. In 2016, she completed the extremely vigorous Power Pilates Comprehensive Program. This extensive program taught her to master the ability of working with people of all ages and fitness levels, with clients ranging from preschoolers to seniors. Alicia has a Bachelor’s of Liberal Arts in Broadcast Management and Public Relations from the University of Texas at Arlington. After working in the Marketing and Sales Industry for over 8 years, she decided to focus on what made her the happiest, and pursue her genuine passion for Pilates full-time. She is also certified in both TRX Suspension Training and Spinning. She enjoys cross training and practicing yoga regularly. Carrie has always enjoyed working out, running and overall just being fit. She discovered her passion for fitness while working at the award-winning Telos Fitness Center. She wasn't quite instructing yet, Carrie was the Executive Chef, Catering Director and Manager of Chalk Bar and Grill. Prior to Telos, she graduated from Le Cordon Bleu earning her Associates in the Culinary Arts, and she has worked along side with some of your top chefs in Dallas. Carrie made her mark on reality television by appearing on Fox's Hell's Kitchen, where she worked with the internationally renowned chef Gordon Ramsay. After deciding to take a break from the kitchen, Carrie got back into being fit. It was during this time Carrie developed her passion and love for Pilates. After feeling the changes in her own body, inside and out, Carrie was eager and motivated to learn and do more. Carrie is now a Power Pilates Mat I and II certified instructor and looking forward to continuing her education with Power Pilates Comprehensive Program. Raven is a native of New Orleans, Louisiana where she trained in dance at the New Orleans Ballet Association. As a dancer and avid cross-trainer, Raven was looking for an exercise routine to supplement the physical demands of her dance training. After years of hearing about the profound effects of Pilates from dance teachers and professional dancers alike, she finally decided to give it a try and immediately fell in love. In 2011 Raven moved to Dallas, Texas to pursue a BFA in Dance Performance from Southern Methodist University where she continued to take Pilates as part of her dance curriculum. Shortly thereafter Raven completed her Mat 1 and Mat 2 certifications through Power Pilates and is currently an apprentice in their Comprehensive Program. I love learning and the more I learn, the more I realize there is much more to learn. I am teacher of both Pilates and Gyrotonic since 1997. Many types of movement amuse me. I have a long history of dance, martial arts, swimming, endurance racing and music. When I’m not writing pretentious details about myself, I am very busy and important. My certifications include: Gyrotonic Instructor with internship under Juergen Hamburger. I’m comprehensively certified through The Physical Mind Institute, The Good Body’s PilateSystem / Peak Pilates, with observation hours with Romana Kryzanowska, a protégé of Joseph Pilates and was supervised during internship by Colleen Glenn. Additional Pilates training under Ron Fletcher and Michelle Larson. 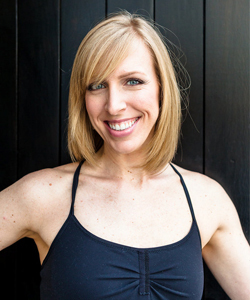 Upon moving to New York City, Haley completed her full certification training in 2005 through STOTT Pilates, with a second certification from Pilates Academy International in Pilates and CARDIOLATES at Pilates on Fifth, with whom she is still affiliated as a Certifying Instructor-Trainer for both programs. CoreAlign, RedCord Active (formerly ActivCore FEX), Pre/Postnatal Pilates and Barre are also a part of her repertoire. Kris began her study of the Classical Method as a student in Los Angeles California, after suffering a life threatening accident shattering her leg and hip. She decided to pursue her certification in the classical method to rehabilitate her own body. Kris started her studies of the full comprehensive program at the Pilates Institute of Southern California under the instruction of Stacy Vargas. Shortly thereafter, moving to Nashville, she was introduced to Master Instructor Sonje Mayo. 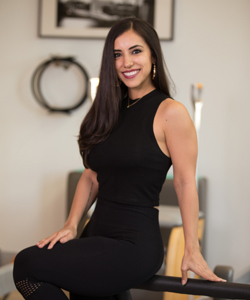 Upon learning that Sonje studied directly under Joseph Pilates as a dancer, she made the decision to return to her studies where she received a full comprehensive certification with Peak Pilates under the tutelage of Sonje. After completion of the program, Kris founded the classical pilates program at the Gordon Jewish Community Center and Hillwood Country club in Nashville. She also runs her private practice rehabilitating people with injuries and spinal conditions such as scoliosis, which is her passion. Her focus is form and fundamentals, having had a massive traumatic injury herself, her goal is to help others live pain free.